Canadians with home speaker setups can rejoice as the Echo Input is now available to pre-order on Amazon Canada. The Echo Input features no internal speakers since it’s designed to connect to external speakers through a 3.5mm headphone jack or via Bluetooth. It’s a small device that looks like a wireless charging pad. It features a group of four microphones that allow users to talk to Alexa. The Echo Input is a more affordable way to add Alexa to other speakers, which makes it perfect for using the company’s multi-room audio technology. That said, the Echo Dot features a 3.5mm jack so users can set it up in the same way — plus it includes a built-in speaker. The Echo Dot costs $69.99 CAD. Moreover, the Echo input isn’t compatible with every Bluetooth speaker. Specifically, the Input doesn’t support Bluetooth speakers that need PIN codes. 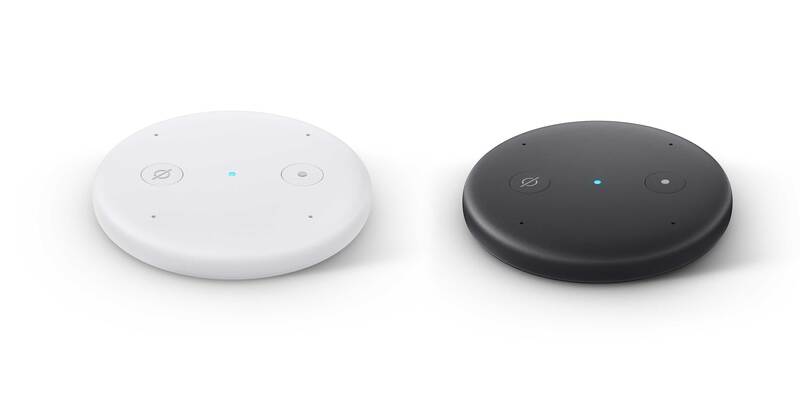 Canadians can pre-order the device in either White or Black starting at $29.99 CAD, and it will start shipping out on March 28th. After the limited time sale period, Amazon says the cost of the Echo Input will go up to $44.99.